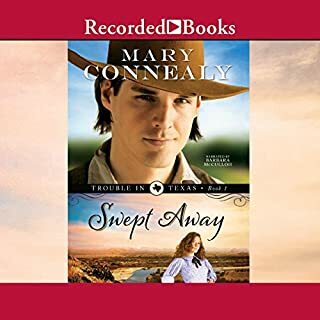 Swept away when her wagon train attempts a difficult river crossing, Ruthy MacNeil isn't all that upset at being separated from the family who raised her. All they've ever done is work her to the bone. She prayed for a chance to get away, and then came the raging flood. Alive but disoriented, she's rescued by Luke Stone...so unfortunately, there are more chances to die in her immediate future. Luke is heading home to reclaim the ranch stolen from his family. Kylie Wilde fought in the Civil War dressed as a boy and now she's homesteading as a man. But she makes one lousy man! When land agent Aaron Masterson comes to inspect her claim, he immediately realizes she's a woman. She begs him not to tell, but can he in good conscience defraud the U.S. government, even if she really did serve in the war? 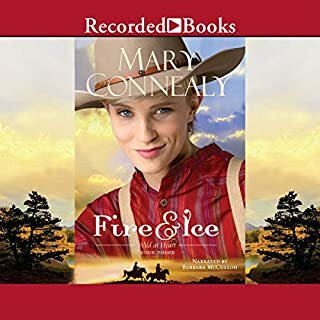 Aaron is interested in the little spitfire from the moment her long hair falls from her cap, but when he tells her of his plan to stake his own claim, farther west and up in the mountains, she draws away. Good story centered around homesteading era. Bailey Wilde is one of the best new ranchers in the West. 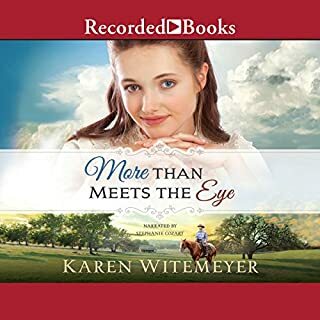 She's been living disguised as a man for a while, but when Gage Coulter comes to drive her off her homestead, he quickly realizes he's dealing with a woman - a very tough, very intriguing woman at that. Gage is an honest man, but he didn't make his fortune being weak. He won't break the law, but he'll push as hard as he can within it. Patience Cavanaugh has lost hope in romance. The man she yearned to marry is dead, and her dreams are gone with him. Now she is consumed with restoring a dilapidated boardinghouse in order to support herself. Despite Patience's desire for solitude, Jedediah Jones, the local marshal with a reputation for hanging criminals, becomes an ever-looming part of her life. Rafe Kincaid controls everything in his life... until he meets Julia. Julia Gilliland has always been interested in the natural world around her. She particularly enjoys studying the fossils and formations in the magnificent cave near her father’s house. The cave seems plenty safe—until the day a mysterious intruder steals the rope she uses to climb out. Rafe Kincaid is a man used to being in control—of himself, his brothers, and his family’s ranch. The last thing he expects is to find a woman trapped in the cavern on his land—or to be forced to kiss her! Rafe is more intrigued by Julia than any woman he’s ever known. 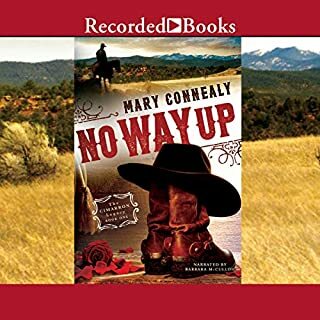 But when their developing relationship threatens a reconciliation with his brothers, will Rafe have to choose between his family and this new love that could heal his troubled heart and secure his happiness? Nice Break from Depressing Listens! 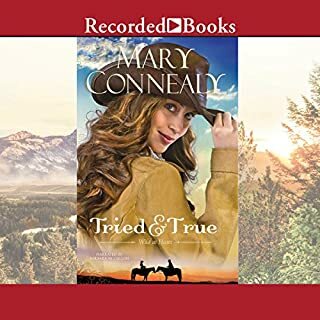 I have wanted to read/listen to a Mary Coneally book for a long time. 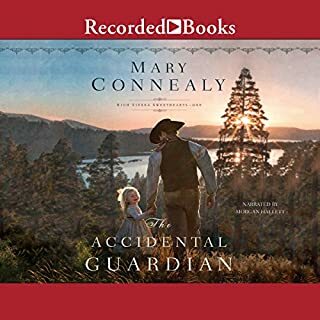 Glad to find this one on audible.com! I had just finished listening to a very dark secular novel that had elements in common with my own writing. I'd also begun listening to another secular best-selling novel with major commonalities with my own manuscripts so I want to listen. Both were pretty depressing. The Christian world view and voice of hope were notably absent. Reasons I listen/read Christian novels and write Christian historical romance. So when I got this download I jumped right in. What a nice break from the yucky feeling I had listening to a voice devoid of faith. A concern I had about this story, that pulled me out of the listen, was that I have a daughter about this age and both the H/H were so lacking in common sense imho. My hubby, when I described the scenario to him commented that so many young people are into extreme sports, etc., these days, that for them this wouldn't be an issue (not about extreme sports but what they are doing in the story with the caves and the psychopath etc.) To me, though, this story was a great wonderful antidote to having just had two bummer listens. The author's voice is uplifting and she had a unique story and interesting characters. I felt like listening to Mary's book reset my bummed out reading experience and got me back on track! the narrator has spoiled the good read that this book is.buy the book and read it than listening to this narration. I would recommend you actually read the story rather than listen to it. It's a childishly written and expressed romance of the old west. Way too much repeating of individuals thoughts and feelings. It's good for a 12 year old! The thing I liked least about this was Julia's attitude. She is supposed to be a Christian but she's not kind to others. Especially those less fortunate. She is just not a nice person. So selfish and full of herself. She's the main character but more like a villain! I didn't like the way the author repeated things multiple times. I also didn't like how the majority of the book focused on what the characters are thinking. I don't think I would recommend this book/series to anyone. Story was okay l listen to the whole thing. I hope you enjoy this audio book more than I did. Not really. I did not care for the voice and it was not formatted correctly. The narrator would say Chapter 15 but it was reading on my device as chapter 23. Things like that. What was one of the most memorable moments of Out of Control? I liked the history about the cave. Baby voice for females who were strong characters. Would you consider the audio edition of Out of Control to be better than the print version? Always! I've issues with my sight and reading becomes increasingly difficult. All the characters meshed together to form this wonderful epic. What does Sherri Berger bring to the story that you wouldn’t experience if you just read the book? When the damsel in distress became the hero.